When we normally think of solar cells, they are usually installed on a flat glass surface and backed by a panel which is at least several inches thick. But new materials breakthroughs are allowing significant advancements in thin-film solar cells. These solar cells look closer to 2D rather than a 3D technology. According to solar industry watchers, current thin-film solar cells provide an average efficiency of 7%-13% with the efficiency expected to climb as the technology improves. The thin-film materials contain laser-edged electrodes that significantly boost the storage capacity of solar cells by up to 300%. 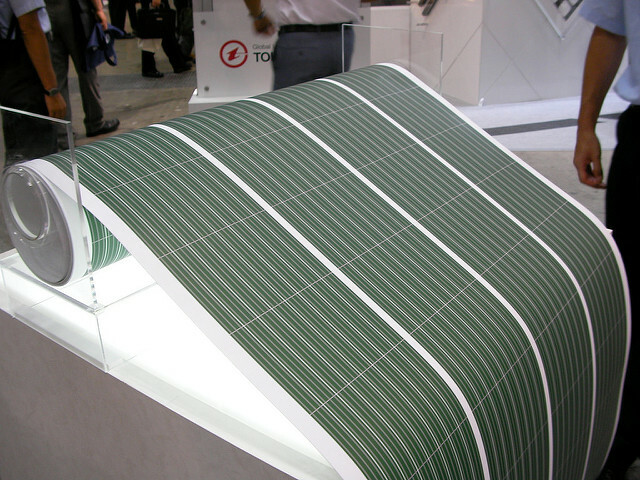 A recent report from Nature Energy highlighted a Japanese company, Kaneka Corporation, that has developed a solar cell with a record-taking 26% efficiency using thin-film heterojunction (HJ) silicon layering. There is a lot of innovation occurring in the thin-film solar cell market where a US patent was recently awarded to Ecoark Holdings for its thin-film lightweight high-efficiency solar cell technologies that are created using flexible substrates. According to research reports, the global market for CIGS (copper, indium, gallium, selenide) used in thin-film solar cells to convert the sun into electrical energy is expected to reach $10 billion by 2020. The following video explains the future of solar cells and the current state of the development of thin-film solar cells.